Macworld’s Leif Johnson has been using the new iPad for the past week. What does he think so far? Bloomberg says that Apple may use its own processors in Macs starting in 2020. Apple has released a beta of iOS 11.4. We also feature your comments and questions for Leif Johnson, Roman Loyola, Dan Masaoka, and Michael Simon in the Macworld Podcast, episode 599. 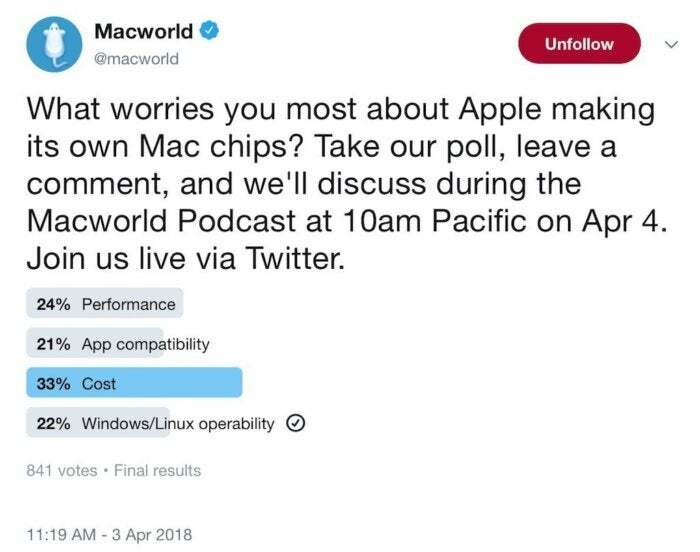 Before the show, we asked (via Twitter) what worries you most about Apple making its own Mac chips. Here are the results. Here are relevant links to get more info on the stuff we will discuss on the show.